How do you stack up against your competitors? Do you have a plan for continued improvement? On the internet, you can’t ignore the competition. They are the companies in your field that occupy the top of the search results, and right now they are standing between you and your potential customers. If you want to surpass them, you need to know who they are. More importantly, you need to know what you can do to make your business rise to the top. It starts with analyzing your website’s visitors and how they behave. Where do they come from? Which pages are entryways and which ones are exits? If you understand what makes certain parts of your website successful, you can leverage that success to the rest of your content. All the information in the world means nothing if you can’t interpret it. Numbers need to be segmented and analyzed. Reports need to separate your advertising efforts from your sales and content numbers. Otherwise, there’s no way to accurately identify which areas are working, and where you can make improvements. Where can improvements in product descriptions create higher conversions? Which special offers and promotions are most likely to appeal to your target demographic? Are potential customers leaving your website because they can’t find what they are looking for? What changes could be made to keep them on the site and encourage purchases? Do you know the landscape of your customer base? Are you taking advantage of every opportunity to connect with specific market segments? 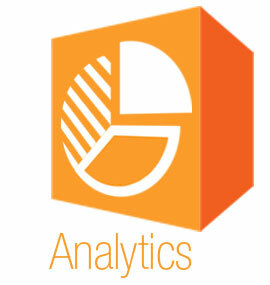 Analytics are the single most important tool in your online arsenal. They help you pinpoint successes and identify opportunities – but only if you know how to use them. Our trained online marketing professionals can show you how to interpret the numbers and provide you with reports that answer the important questions.